Super Eagles striker, Odion Ighalo has stated reasons Gernot Rohr’s men will not disappoint Nigerians at the 2018 World Cup in Russia. 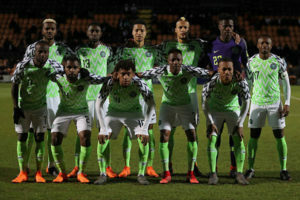 According to Ighalo, the Eagles have been working tirelessly and in unity to live up to the expectation of many Nigerians. The Changchun Yatai striker is expected to lead the line for Rohr’s side when they take on Croatia in Kaliningrad on Saturday. The former Watford star, however, admitted that the team is drawn against tough group opponents but they remain confident. “We know what is at stake and we won’t disappoint, that’s just all I can say,” Ighalo told CSN. 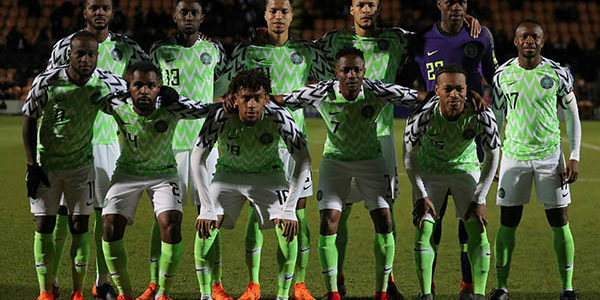 The Eagles will hold their final training session in Essentuki on Wednesday before departing for Kaliningrad on Thursday for their opening game on Saturday. Nigeria is in Group D of the 2018 World Cup alongside, Croatia, Iceland and Argentina.